The donation of the remarkable Chih Lo Lou Collection of Chinese Painting and Calligraphy to the Hong Kong Museum of Art this year reflects Hong Kong’s unique positioning and importance as a centre for the preservation and conservation of Chinese cultural treasures. The Chih Lo Lou Collection was established by the philanthropist and collector Mr Ho Lu-kwong (1907 – 2006) with the mission to preserve Chinese painting and calligraphy, and promote the art and cultural heritage of China. His studio was named Chih Lo Lou, meaning “bliss”, for the pleasure that one derives from appreciating ancient masterpieces. The works in the collection span from the Song Dynasty to the 20th century and chronicle the aesthetics of different periods and regions. The most significant and prestigious artworks in the Chih Lo Lou Collection are those created by the “Ming loyalists” in the Qing Dynasty that evoke their lofty aspirations and noble integrity. The talk will give an overview of the collection and introduce some of the highlights. Sunny Tang graduated from the Department of Fine Arts of the Chinese University of Hong Kong in 1990. He received his Graduate Diploma in Museum Studies from the University of Sydney in 2000 and MPhil degree in Chinese Art History at CUHK in 2006. 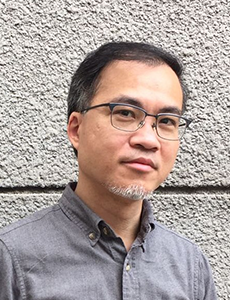 He entered the curator grade of the Hong Kong Government and is currently Curator, Chih Lo Lou Collection of the Hong Kong Museum of Art. Over the years, he has organised many exhibitions and conducted research in the field of Chinese painting and calligraphy.